eagerly await your discovery! 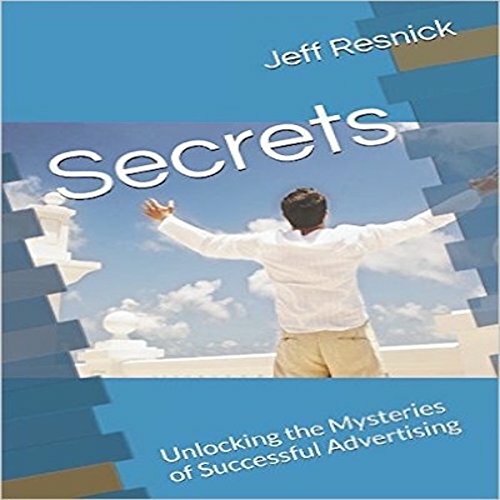 Author Jeff Resnick unselfishly and relentlessly Unlocks the Mysteries of Successful Advertising, not merely through art or science, but as a reflection of the people involved in the very process of rising above the many obstacles they encounter in their daily quest for the desirable but elusive end result: Successful advertising. Chapter by chapter, he delivers a sometimes humorous, always heartfelt revelation of real stories about real people making real decisions in real business situations. This audiobook is for business owners, business owners-to-be, business managers, media sales representatives, advertising agents, advertising teachers, advertising students, consumers, and the general population looking for entertainment. Jeff has gained a reputation for presenting his material not merely as an audiobook narrator, but as a talented producer. His audiobook presentation style includes narration, music, and sound EFX taking you, the listener, on a most engaging creative journey! How to Write, Publish, Narrate, Produce, and Market your eBooks & AudioBooks in 5 Easy Steps! Conquer Your Fear of Public Speaking!